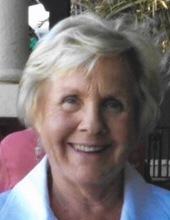 Janet Dill Van Bibber, age 77, on April 13, 2019. Survived by her husband of 54 years, Lawrence; sons, Michael (Michelle), David (Sarah), and Jeffrey (Angel); and grandchildren, Tyler, Helina, Alex, Drew, and Finn. Born and raised in a farming community south of Indianapolis. After graduating from Rushville High School, she attended Butler University and then worked for Eli Lilly. She transferred to San Francisco while her new husband attended Stanford. They moved to Pittsburgh in 1967 and raised a family in the Thomas Jefferson School District. She later returned to work at the Thomas Jefferson High School main office and then the administration building. She hosted family and friends in her always immaculate house, often trying new recipes or making her children's and grandchildren's favorite dishes. She enjoyed playing cards with friends and spending time in Florida during the winters. Visitation will be held on Monday, April 22, 5-8 PM at the JEFFERSON MEMORIAL FUNERAL HOME, INC., 301 Curry Hollow Road, Pittsburgh, 15236. A Blessing Service will be held Tuesday, 10 AM, in the funeral home chapel. Condolences may be left at www.jeffersonmemorial.biz. To send flowers or a remembrance gift to the family of Janet D. Van Bibber, please visit our Tribute Store. Guaranteed delivery before Janet's visitation begins. Guaranteed delivery before Janet's blessing service begins. "Email Address" would like to share the life celebration of Janet D. Van Bibber. Click on the "link" to go to share a favorite memory or leave a condolence message for the family.